Following their Raydale Cup exploits Annan entertained Workington at Galabank in what turned out to be a highly entertaining and competitive match for both teams . Workington were denied a goal by a splendid Shepherd save from an Alex Salmon free kick in the 14th minute , minutes later Annan went ahead when McColm fired in a superb shot from fully 20 yards which gave John Jamieson no chance. McColm doubled Annan’s lead in the 25th minute when Osadolor sent in a low cross from the right and McColm slid the ball over the line from 2 yards. Chances in the second half were few and far between. Black came close for Annan in the 55th minute with a low shot from 15 yards . Connor Tinning’s 60th minute effort went narrowly past. Kyle May pulled a goal back in the last minute with a fine header . 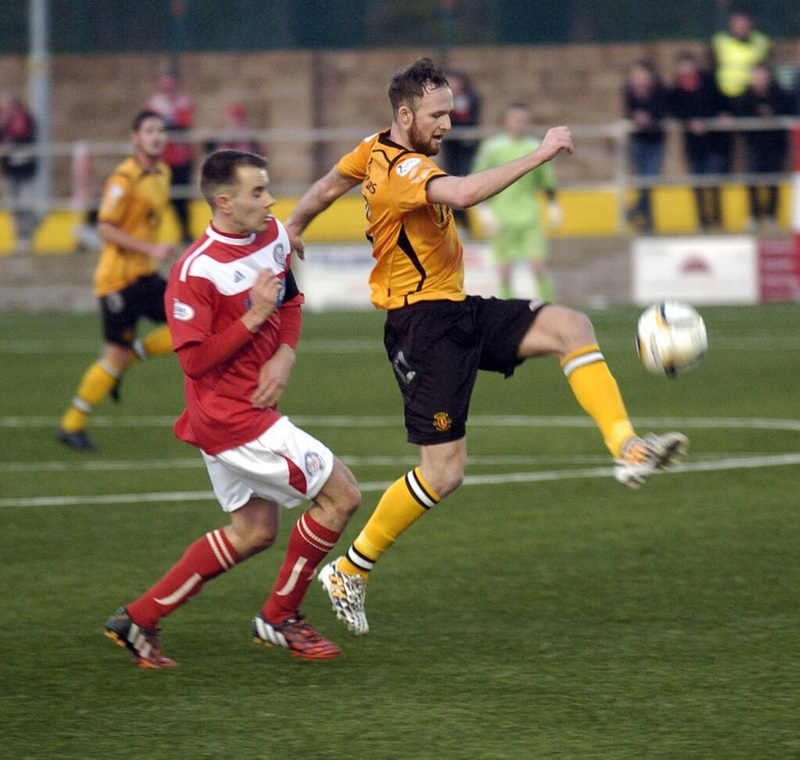 Annan Athletic – Trialist, S Norman, S Black, M McNiff, P Watson, S Osadolar S Sloan, M Flynn, P Weatherson, Josh Todd, S McClolm, Substitutes all used D Wadge, R Omar,K Watt, L Park, J Hart, C Liddell, B Wagner, G Macdonald and J Johnstone. Annan continue their build up to the new season with a closed door friendly ON Thursday evening against the Motherwell Development team at Galabank.